At Walden, our Bachelor of Science in Nursing completion RN BSN program will enhance your knowledge, help you gain new and specialized skills, and qualify you for new nursing opportunities. You'll gain new leadership skills, learn about policy, evidence based practice, and promoting health in your community. You'll be taking your practice to a whole new level. The emphasis now, even more, on the BSN, comes from the Institute of Medicine, who's asking 80% of nurses to have a BSN. And the reason for that is very exciting. They want us to take charge of the health care system. This requires education. The more education you can get, the better. One of the most appealing aspects of Walden's BSN is that because it is a completion program, you can finish your degree at an accelerated pace. As a Walden student, you'll work one on one with an enrollment adviser, to explore your options in terms of transfer of credit, so that you'll know exactly what it will take to complete your degree. Well, I'm a single parent, and I also am working full time, and attending school, to go to a actual brick and mortar school would've been impossible for me. For me to drive, try to find daycare, so to me it was very convenient not even having to go to a program, or to a brick and mortar school, but to actually be able to log on anywhere. Walden's bachelor of science and nursing completion program is accredited by CCNE, which ensures the quality and integrity of the program. You will also benefit from a highly respected faculty, all of whom are expert practitioners in the field, and hold doctoral degrees. What draws faculty and students to Walden is, we want to develop strong, solid practitioners to promote positive social change. Faculty love it, students love it. In nursing, our core value is advocacy, social justice, and we have a policy statement that outlines that completely. You're a special group of nurses who have-- are highly skilled, and bring a lot to the health care system. But once you finish this degree, you'll bring even more. You have the potential to go as far as you want in your career. Walden can help you get there. Call today and learn more. 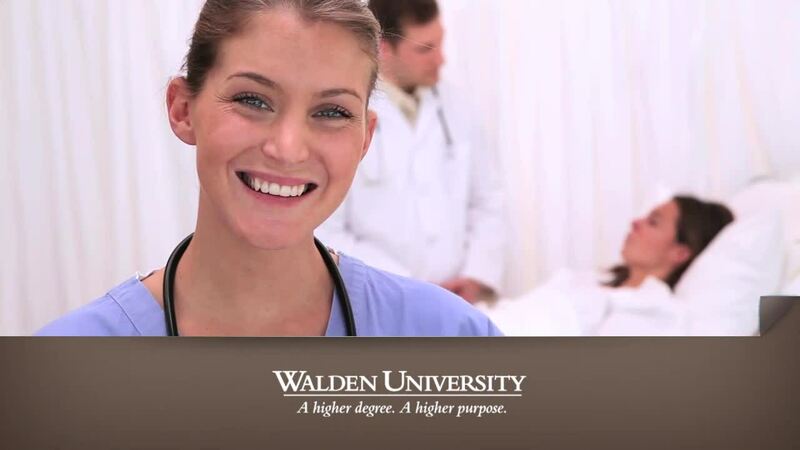 Learn how Walden can help you take your career to a higher level.